Last modified on April 6th, 2017 by Vincy. With people habitually getting tuned to the concepts of e-commerce and e-governance from all parts of the Globe, the future of web development seems to be quite promising. Before moving on, give yourself a thumbs up for choosing to be part of this brimming domain. You can set up a lucrative career as a PHP freelancer investing in web development. If you are new to the world of freelancing, refer my previous article on how to become a full time PHP freelancer. No matter which field we belong to, the emergence would show us no trouble but it’s with retainment that we struggle. With freelance, there are only two probable ways that could pull us down. The first one is by failing to keep up the pace of the ever growing technology. The next would be our reluctant attitude towards communication. Your skills bring you clients but your good communication sustains them. In freelance web development, communication is not just a matter of conveying thoughts, it’s about the way you choose to do it. In the previous article, we saw about the top 10 skills required to become a successful freelancer. Communication is one among the top ten skills required.To make things clear, let’s go this way. You craft websites for people. In this prospect, you can’t just craft, deliver and sit back. On the other hand, you need to consider every project that you work on to be the hook that could connect you to the next one. If this bigger picture is taken into account every time, your communication would turn out to be as good as your technical expertise. By the way, making this happen is not a big deal. To start with, we have got two faces of communication to be dealt with the indirect and the direct, which I fondly call the professional ID of our career. In freelance, dealing with a client is secondary. The time that your website or blog takes to load. The look and feel of the website. The clarity of the content. Always bear in mind that, you are certainly not the only choice for the client, if something puts him off he would simply move out and move on to the next one. In short, your dexterity must just draw and never drop. Then comes the direct and decisive phase of communication, in which the attracted client comes to you. 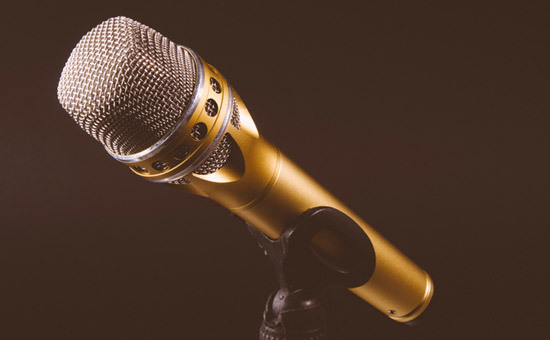 This is where you are expected to put all your practiced communication skills into action. By now you would have surfed and read about fixing the appropriate medium, scheduling face-to-face meetings, keeping the client updated and so on, but, these aren’t everything. Effective communication is all about understanding what is what and who is who. Whenever I think of communication the first thing that comes to my mind is the story of the donkey and the shadow which I would like to share. Take a minute to read and you’ll realize the reason for giving it space. Wanting to cross the desert, a traveler searched for a means and found a man with a donkey who was said to take travelers across. Paying the fare, the traveler sat on the donkey and the man lead it. When they were halfway through, the traveler got tired and wanted to rest so he made the donkey stand and slept in its shadow. Meanwhile, the owner of the donkey who had walked his way got irritated of being left under the scorching sun and moved the donkey to his side and sat in the shade. Awakened by the sun, the traveler started quarreling with a man saying that he had paid for the journey and it is his right to have the shade. The equally irritated owner bawled out saying that he had just paid for the ride and not for the shade. As both the men went on with the quarrel, the baffled animal brayed and headed for the hills leaving the men behind. This is exactly what ineffective communication could do to us. This story is an analogy we face daily in the freelance world. 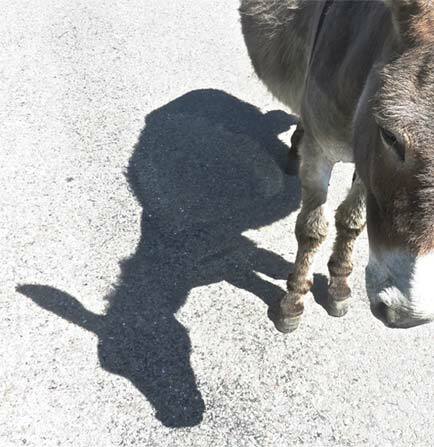 The shadow of the donkey typifies our opinion. It is indeed true that travellers or clients come to you knowing that you have a donkey or the skills needed to solve their problem. They pay for the way and it is for them you work and it is of them you survive. Just as you are professionally equipped in your domain, your clients on the other hand would be the experts of their business and there is nothing wrong letting them spell out their expectations. At times, they might be inquisitive or even doubtful but that is where we need to stay composed. Listen, to be listened. Trust, to be trusted. Even a chesty client could be made friendly if you could clearly explain the problem that’s troubling them. Stay neutral, if your client doesn’t recognise the use of the latest technology and demands for a less attractive one, try to persuade and educate them. Being a freelancer is not all about earning for that day alone, you need to build a brand for yourself.Ultimately, all that has to be kept in mind is a good quality solution, in-time delivery, and effective communication wins for a freelancer. With the sound experience, I have as a PHP freelancer I summarize that ultimately all that has to be kept in mind is a good quality solution, in-time delivery, and effective communication wins for a freelancer.